The FIFA World Cup only happens once every four years, so it’s a special occasion for many. The 2014 World Cup in Brazil saw 131 million working days lost as people skipped work or stayed up late to celebrate (or commiserate) their team’s performance and consequently missed work the next day. The England versus Wales game during the 2016 Euros cost the UK economy an estimated £269 million alone in unauthorized leave. And for companies who work outside of standard ‘office hours’ such as retail, hospitality, and healthcare, huge sporting events can have a significant impact on their operations. A lot of companies will have the fixtures list on their wall, and a lot will run a staff sweepstake. So it can’t be a surprise when your country’s games take place. Make sure you’re ready for everyone to be distracted and reschedule the company’s workflow around the matches to ensure you’re not hitting peak demand just when the kick off starts. Not everyone will want to watch England versus Panama but for those that do, help them find a colleague to substitute their shifts for them. The important thing is that there’s sufficient resourcing throughout the tournament. The fixtures list is also a ready-made resource planner, so you and your team can plan ahead on what days you will be missing out to watch your national team. Some games might go into extra time. A lot of fans certainly will. Make sure that you’ve identified team members that are willing to step in at short notice if ‘football fever’ strikes at short notice and absences spike suddenly. Make sure you get their permission to contact them – and keep their contacts close to hand in case you’re suddenly short of staff. The UK workforce, for example, is one of the most multicultural in the world. Remember that Poland versus Senegal or France versus Australia will be huge for expats and a huge reason to get together. Factor this in and be considerate to other nationalities and use this to help to reschedule your international teams so that you’re covered throughout the tournament. People inevitably flock to pubs, bars, and restaurants to watch the game with fellow fans. So venues should expect to be busier than usual and plan extra support during matches. But sectors such as retail shouldn’t be fooled into thinking they’re in for a quiet spell. The 2012 Olympics was a prime example of shoppers taking the opportunity to enjoy some retail therapy in a less busy environment while the die-hard supporters were glued to their screens. We always seem to sleepwalk into resource issues during each World Cup when we know people will be distracted or won’t turn up after big games. On a ‘normal’ day a manager’s biggest challenge is getting the right people in the right roles at the right time. 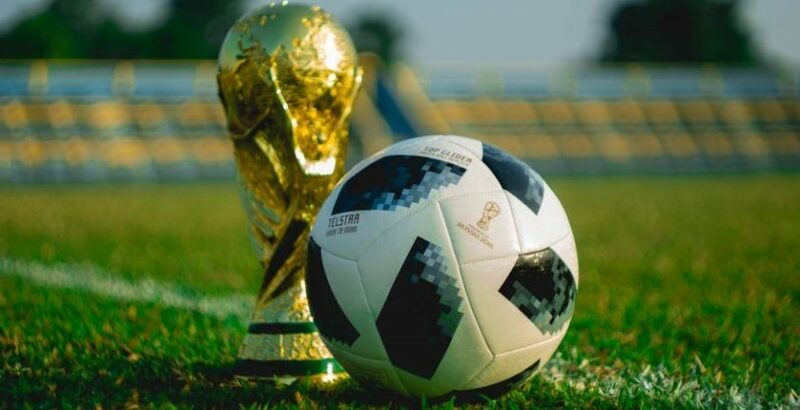 During the World Cup, this can be an even bigger headache, so it’s essential that businesses have a flexible plan and the ability to substitute and mobilize their teams quickly. About the author: Erik Fjellborg is the CEO and Founder of Quinyx, one of the world’s first fully web-based Workforce Management solution to helps some of the world’s biggest businesses to save time and money, boost productivity and increase employee happiness.